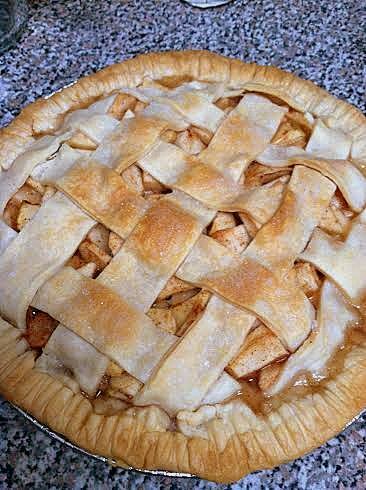 I’ve always wanted to try my hand at making my very own hot Apple Pie. It seemed to be like a pretty big project to me and I would always be impressed by those who actually committed to the task and had a warm pie with golden crust that they made with their own two hands – from scratch – cooling on their kitchen counter. Well, this past Fall, after going Apple Picking, we had a ton left over and I knew just what I was going to do with at least about eight of them! Especially when I got clued in on the fact you can buy pre-made crust, it was on! Preheat the oven to 375. 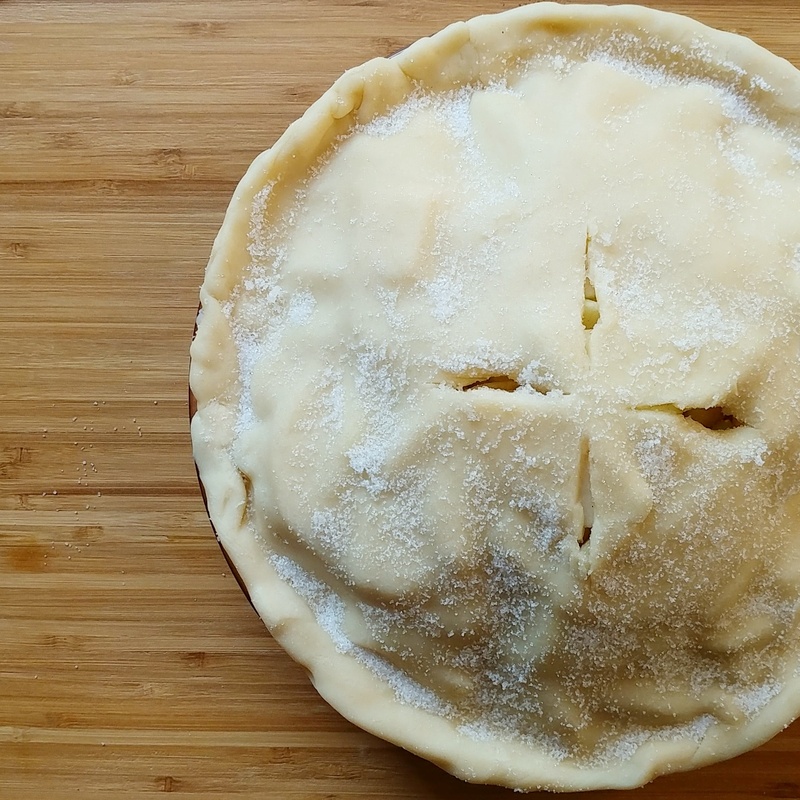 Prep your metal pie pan by lining it with one of the pie crusts. In a large bowl, stir the sugar, flour, cinnamon, and nutmeg. 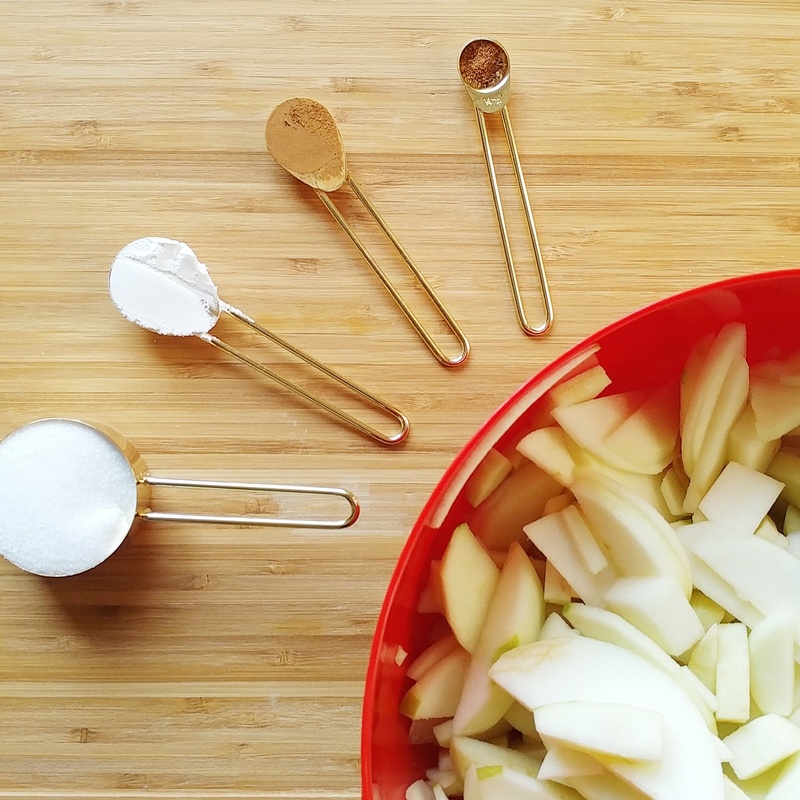 Add apple slices and toss until coated. Transfer mix to lined pie pan. Cut the second pre-made pie crust into the pattern you’d like for the top. Sprinkle with sugar. Cover the edges of the pie with tin foil so they don’t burn in the oven. Bake for 40 minutes. Remove foil. Bake 20 minutes more until fruit is tender and filling is bubbly. Making apple pie this way was less intimidating than I thought and the recipe didn’t disappoint! Even the hubby has requested I make it again, which I always take as a good sign that it really is yummy! With Thanksgiving coming up, this might be the perfect way to display your baking skills if you’ve never tackled a pie before. 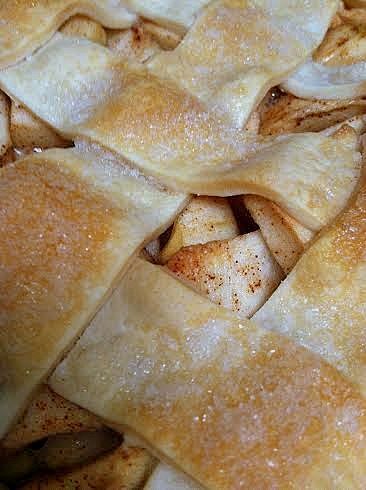 Apple pie is a must for the Holiday season! In case I don’t post before then – Happy Thanksgiving everyone! I hope you’re able to spend it with your loved ones! *recipe from Better Homes and Gardens cook book.